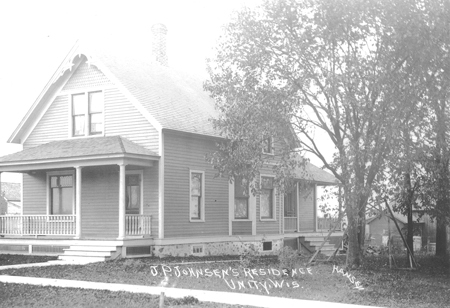 Early 20th century - present location (2007) would be 101 South Washington Street (Alfred and Bonnie Weideman home). 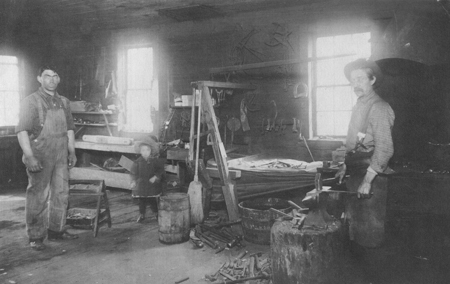 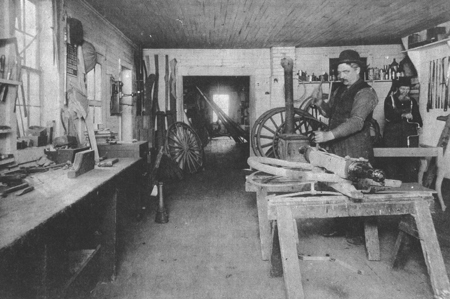 L-R. Frank Jarvis, his daughter, Lola, and J. P. Johnson J. P. Johnson, wagon maker in his shop on West side of Unity. 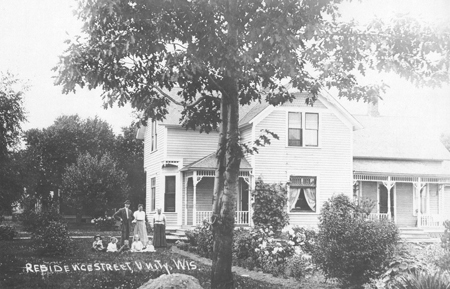 1911 Photo of West Clark Street. 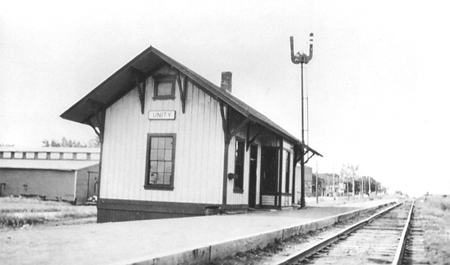 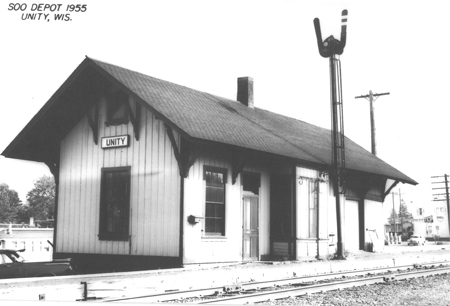 Far left: 330 West Clark - W. E. Morgan home - Randy Smith (2010), 320 West Clark - Margaret Pfeffer (2010), 310 West Clark - Clyde and Irene Schreiber (2010) Wisconsin Central Railway going through Unity, Wisconsin, from Unity Centennial Booklet.